Welcome to the Okanagan Real Estate Investment Group Website! Our objective is to connect like-minded people in the Okanagan Real Estate Investment Community with each other to Share, Learn, and Collaborate! 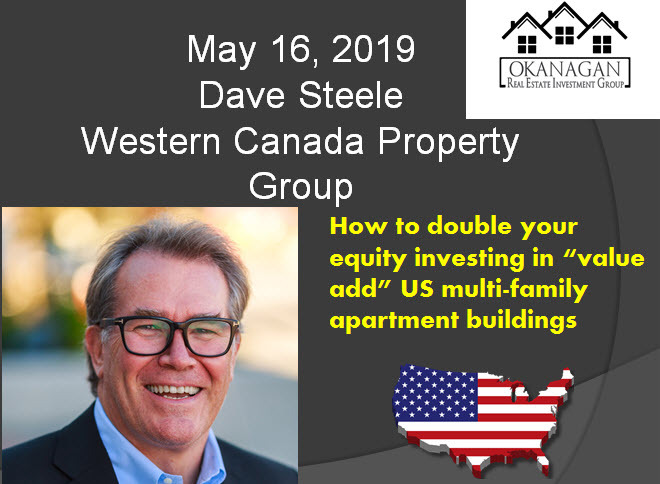 Dave is the CEO of Western Canadian Properties Group, a developer focused on working with investors in the top high growth markets in North America. Over the past 30 years, Dave and his team have helped over 12,000 investors acquire over $1.5 billion worth of cash flowing investment properties. 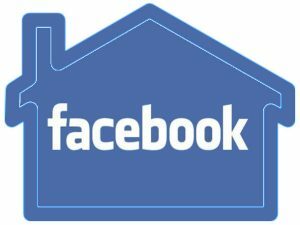 Today, they are focused on some of the top markets in British Columbia – Fort St. John, Dawson Creek, Surrey and Victoria offering investors turn-key brand new cash flowing properties. As well, Dave and his partner Janet LePage of Western Wealth Capital have worked with individual investors and acquired over 50 multi-family apartment buildings in Phoenix, Dallas, Houston, San Antonio and Atlanta over the past four years. As Always, Your FIRST Event is ALWAYS FREE! Our monthly evening events also include Open Mic times. Be sure to come prepared with your opportunity, service, or even a success story! You get 90 seconds to present your opportunity- so make sure and write it out and practice it ahead of time! NOTE: Open Mic is for OREIG Members Only. 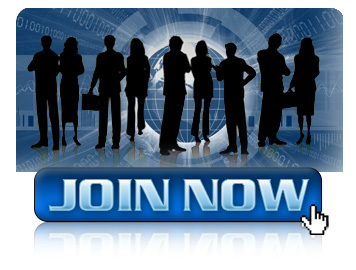 Be sure to join our Members Only Facebook Page to get EXCLUSIVE downloads, information AND previously recorded Events! 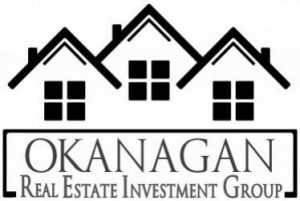 The Okanagan Real Estate Investment Group has been created to provide a regular place for real estate investors, industry professionals, and business owners to connect, network and grow. The founders of the Real Estate Investment Group have been collectively investing in real estate since 2001. They have transacted hundreds of deals and close to $100 Million in Real Estate Transactions. The vision for the Real Estate Investment Group is to create a Mastermind environment where real estate investors (new and veteran), industry professionals and business owners can surround themselves with like-minded people. 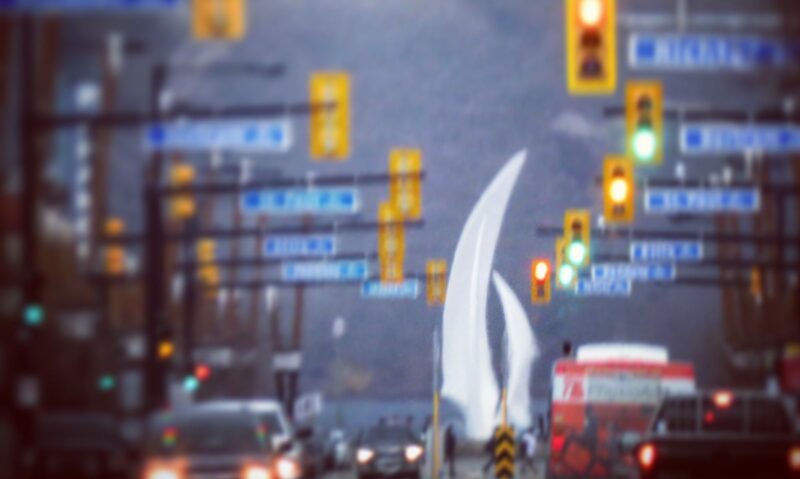 Through networking and dealing locally in the market, they have been asked many times "Why isn't there a real estate investment group in the Okanagan?" So they decided to create one! There is dedicated time set aside specifically for networking. This is where so much excitement can happen! Can you think of a better place to find your next deal? Your next Joint Venture Partner? Your next Client? The Okanagan Real Estate Investment Group will provide this unique space every month. "Bringing Opportunities and Investors Together"